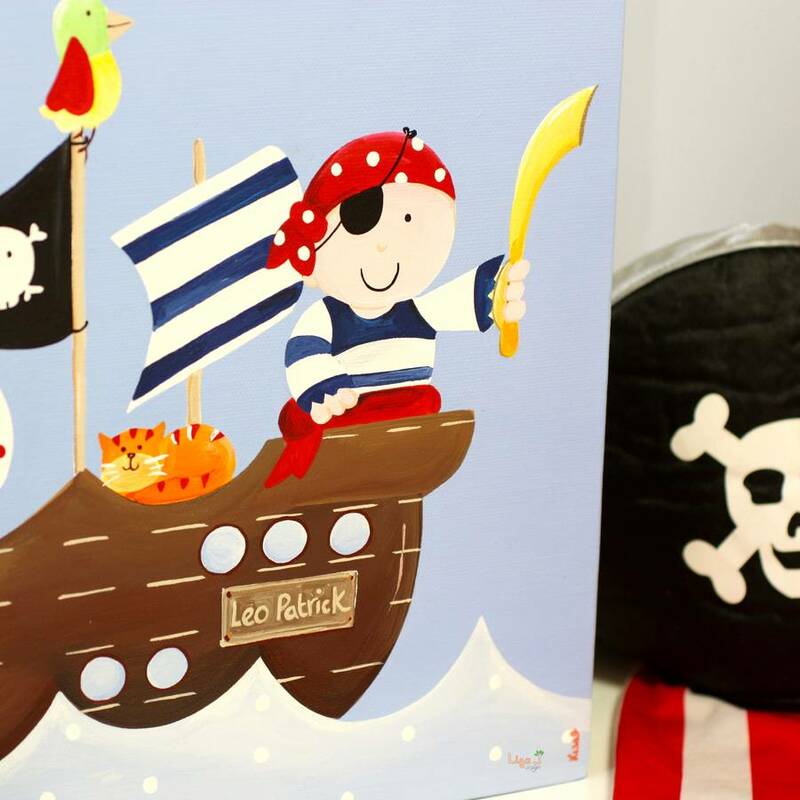 Your little pirate - would welcome this hand painted canvas for a special birthday or christening present. It would be an ideal personalised finishing touch to their newly decorated pirate themed bedroom. 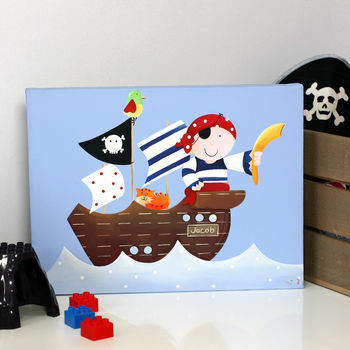 Featuring a pirate and their ship, with a parrot and cat on a mid blue coloured background. 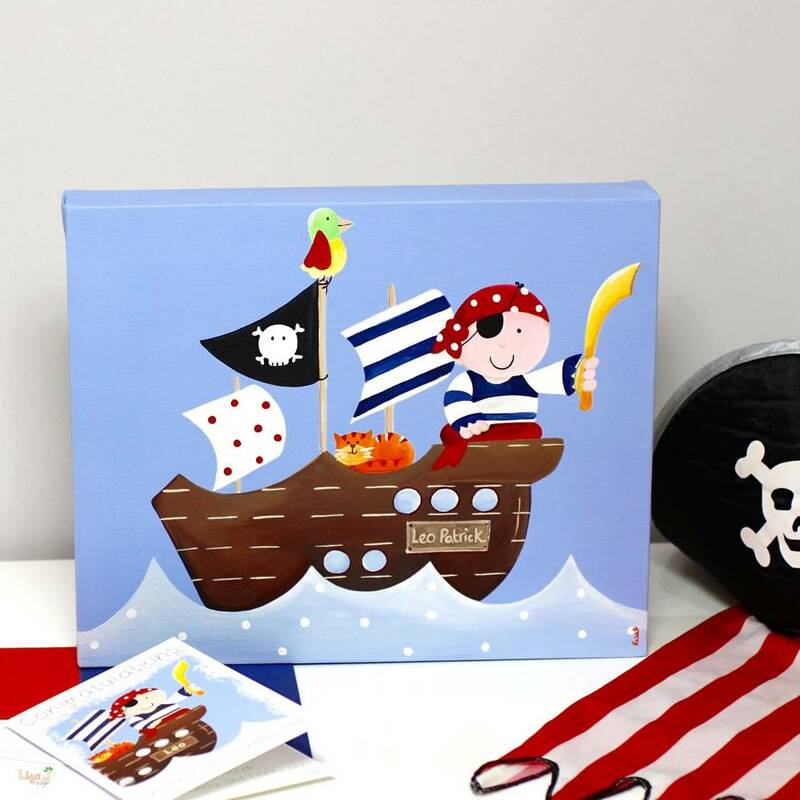 Beautifully hand painted with your chosen child's name to order, then signed by the artist and dated. 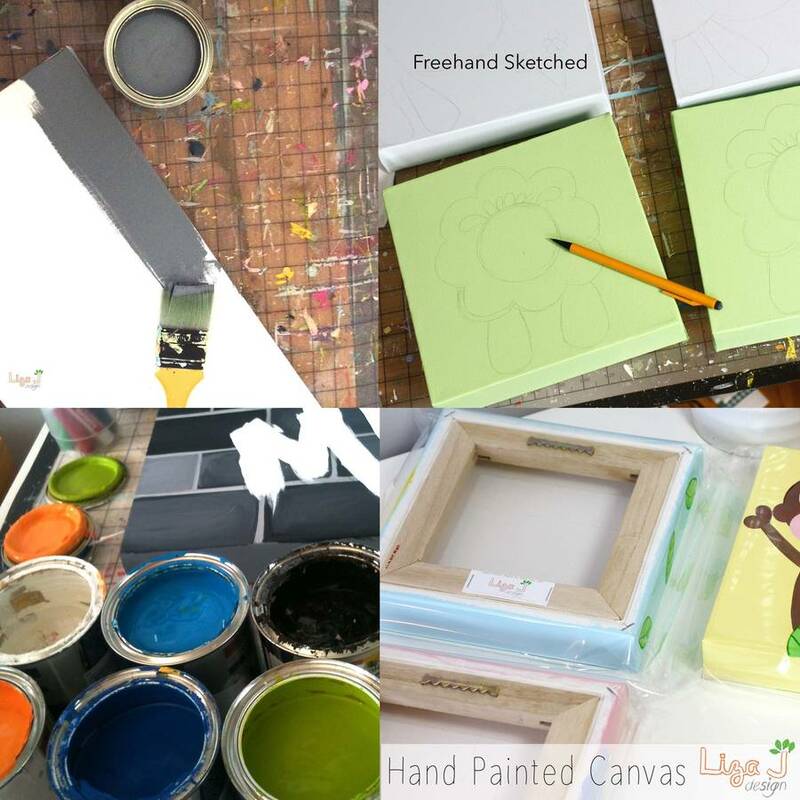 Specify name of your choice and background colour. 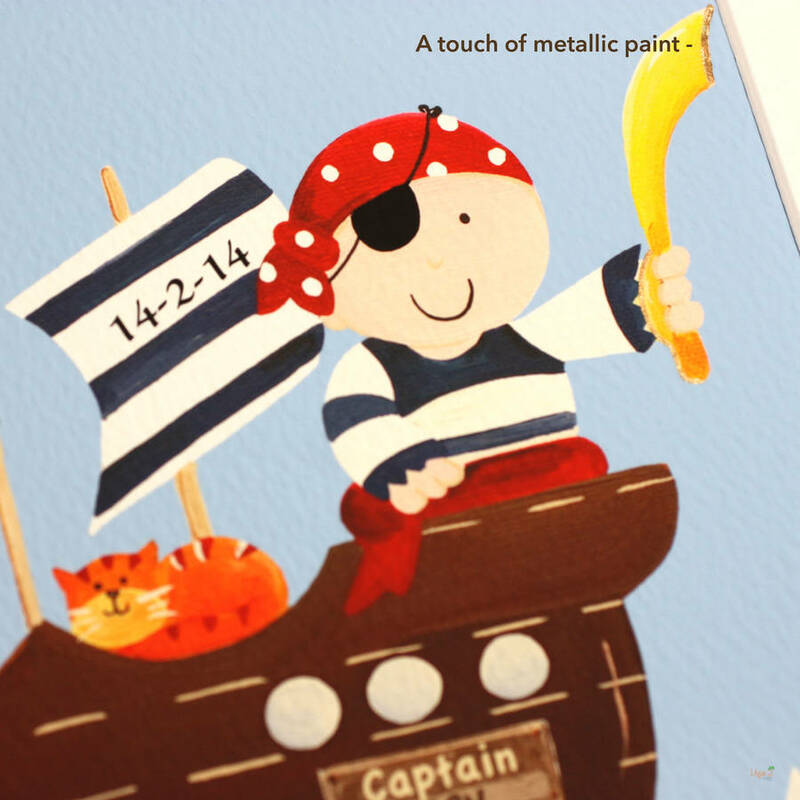 Add a special date or short message (please write your choice of words in extra personalised details box, for example "born 15.01.2019" or "Happy 1st Birthday 15.01.2019"). Orders as standard are wrapped in cellophane. 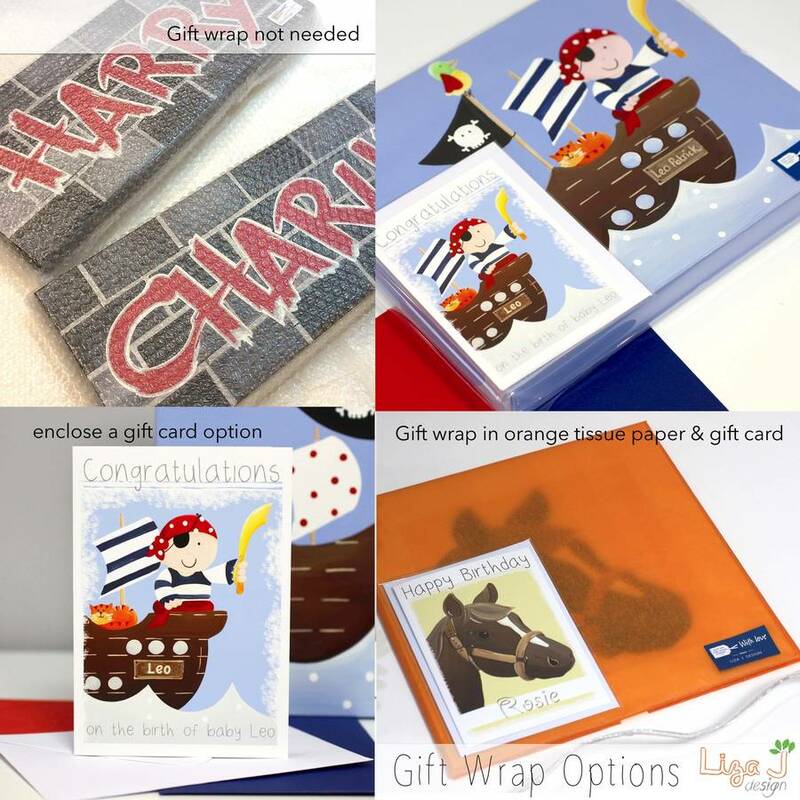 Add a greeting card with front message of your choice - "Happy Birthday", design will coordinate with chosen artwork, printed onto textured fine art paper 310gsm (size A6) blank inside for your own message. Left it late in ordering? 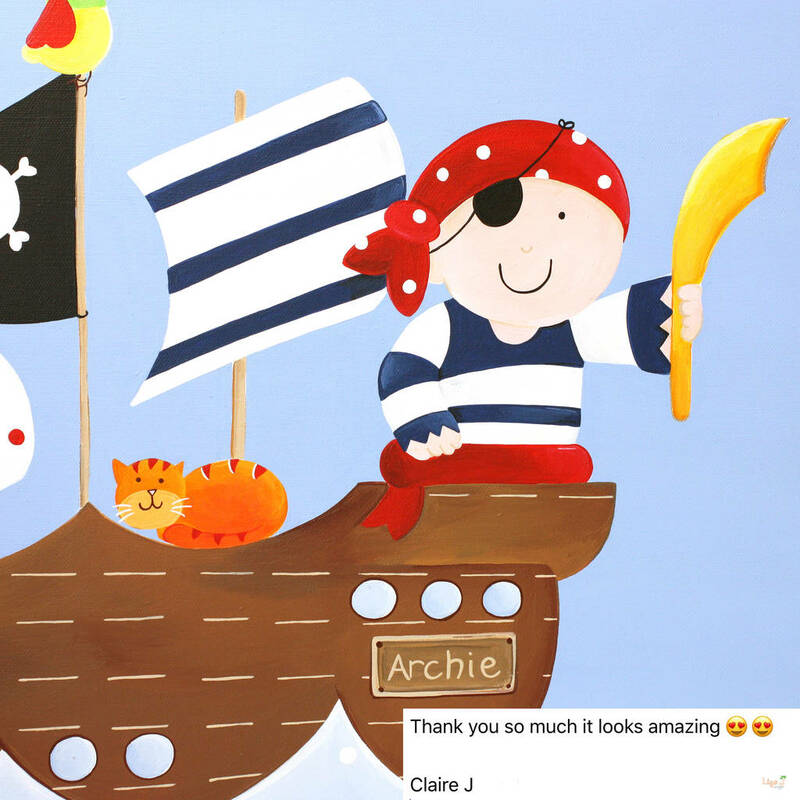 A greeting card can be sent out in advance with a voucher to let your gift recipient know that their item is on it's way and when they can expect to receive it. 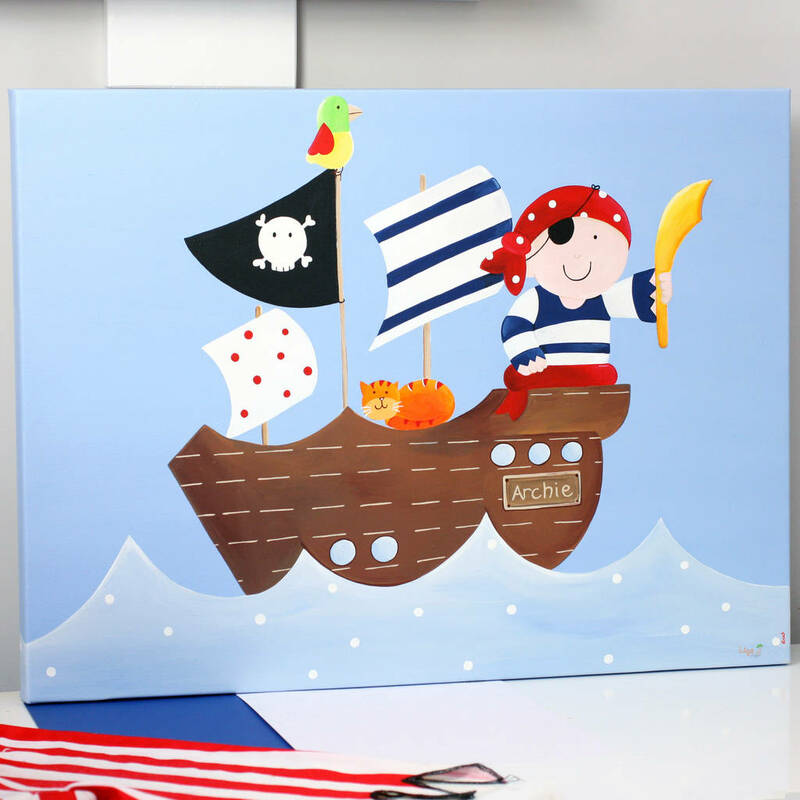 An original design sketched and hand painted using water based onto a quality mounted 3.8cm deep edge canvas then finished with a protective coating. 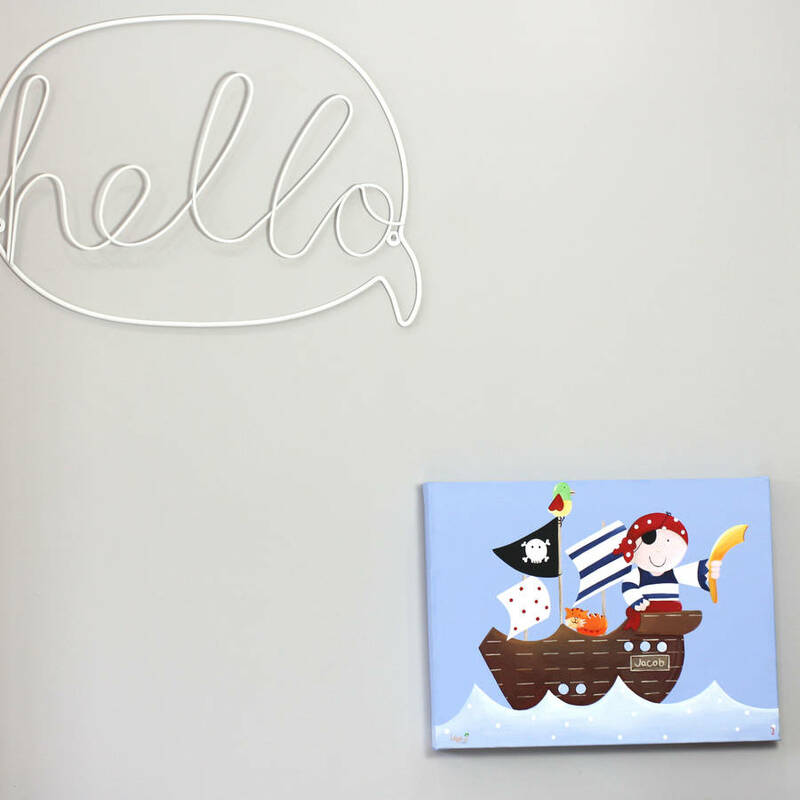 Staple free sides enables the painting to extend to all showing edges. Hanger fitted. No need for framing.